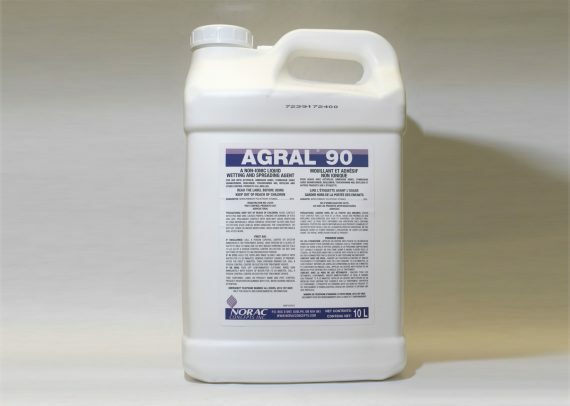 Agral 90® – Norac Concepts Inc.
A versatile, non-ionic surfactant that improves uptake of a wide spectrum of herbicides, insecticides and fungicides. Proven performance and reliability have made Agral 90 the preferred choice of growers. Agral 90 has more tank mix registrations than any other surfactant.